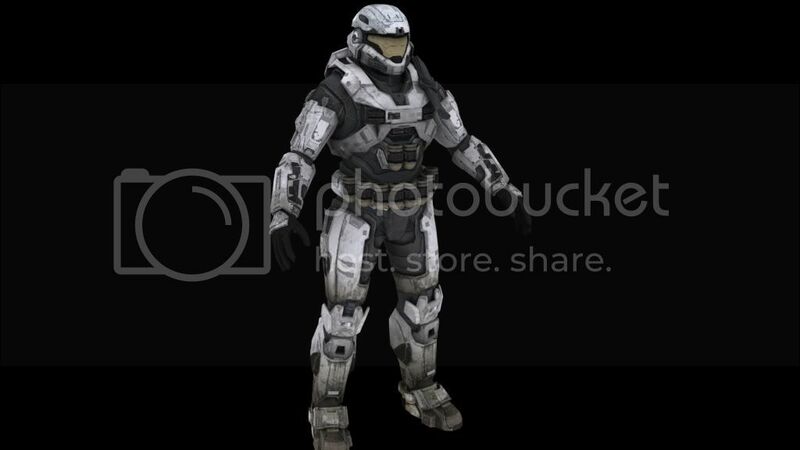 it really pissed me off when someone who will remain names posted in the Bipeds - Work in Process thread [WIP] thread showing off he had the halo reach spartan model but wouldn't release it so i got my hands on a little program that can do just that and decided to rip the model. I never said I wouldn't release it. I'm sure this version is FAR different then the one I got due to the rigging and the shaders. I never said the words I wouldn't release it. But never the less I wasn't allowed in the first place to share it because of my source. But now this is out I can. Don't think im being sarcastic or mad lol. I was planning on sharing it when sandtrap gets released on July 4 2011. But didn't know people got mad :V but I thank you but if you truely WANT to know who my source is his name is Renthedragon. It will be, trust me if it doesn't well I release all my other reach content I have not shown. lol really dude you have no idea what's on my pc i do have the program to extract halo reach stuff you just wanna make it seem to everyone else that i don't. you troll here and on facepunch thinking your a big shot cause you can extract reach models and no one else can but your wrong cause i can, so don't cry that someone beat you to releasing this model. Then by that logic, you shouldn't even have these models, much less release them. Just sayin'. I do hope someone rigs them well though. I'd hate to see a crappy beaten up looking spartan. lol really dude you have no idea what's on my pc i do have the program to extract halo reach stuff you just wanna make it seem to everyone else that i don't.yes the obvious halo 3 helmets, mark v helmet from halo 1, and all other attachments aside the fj/para knees and the default helmet attachments are all custom. Stop before you make yourself look like a fool for acting like you have a program. You act like a big bad kid. I certainly dont care if you call me a nobody, you don't even know me and I don't know you, this is the internet I don't except anyless from a 14 year old. Just grow up, it amuses me you released it. Aside that these halomaps people NEED from this .max is to fix the rig (which most are not capable of), adjust the model vertex wise because its not even the same as the h1,h2, or h3 spartan models. You do not have the app (If you continue to say you have one, I will make you look like a fool). I will make you look like a fool because of your arrogance and stupidity. I don't wish to but I will. Ofc I could get banned since I made dennis mad before but this is my only post directly back, if your smart you can continue PM wise but I doubt you will because your arrogant. And your source isn't happy btw since I figured out who it was. Enjoy having no light texture bitmap! and it's not just a single color. Meh, I think you did a great justice JakeGreen. Nobody releases anything. That's a shame. You didnt deny anything I said either, so I am right. Hahaha enjoy having no light texture anyways and not having the legit model permutations. have fun with your legit models. feel them and sleep with them and touch them. o and get paid for them. I made a pretty realtime presentation. I think I can wait for Spartan 094's. But if he decides not to release for some reason I'll remember to come back to this. and correct me if I'm wrong but didn't you also have halo 3 brutes ingame too? would this not help lower the polys even further? no thanks, ill wait for spartans release. At least I'm not the only one. It'll be a long wait (unless you finish it quicker) though. Jakegreen! ur awesome! everyone loves a sharer! sharing is caring! this would b such a cooler and friendlier community if everyone shared like u! way to set an example! Time: Thu April 18, 2019 9:25 PM 485 ms.